Creamy avocado was for a while considered to be a somewhat unhealthy choice due to its high fat content. We now know that the fats it contains are of the ‘good’ variety, and with a number of other essential nutrients contained within, avocado is a great choice to spread on your toast. Don’t be alarmed at the carb content in this recipe – a whopping 23g of it comes from the avocado. Enjoy with lean turkey rashers and tomatoes for a protein and anti-oxidant packed breakfast or snack. 1. Peel and stone the avocado, then roughly mash the flesh in a small bowl. 3. Spread the toast with avocado, then tomato and finally the rashers, and enjoy. The amazing avocado is our featured ingredient for this recipe. It is wonderful for muscle building. The amazing avocado is a muscle building food! Once upon a time avocados were kept out of muscle building diets, but not anymore. They have a unique combination of 20 different nutrients, which are essential for us. The type of fat that they have, mono-unsaturated fat, can actually move fat away from you mid-section. 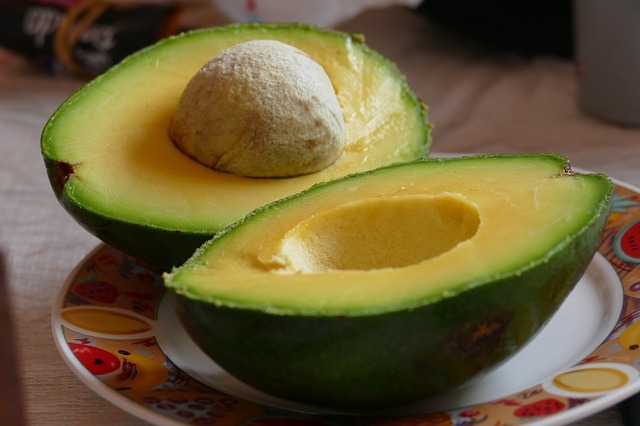 On top of everything else, avocados contain mannoheptulose – this is a sugar that actually dulls insulin release. Why is this good? Because high insulin levels lead to fat storage, and even eventually to diabetes.